Just Like My Dreams...: Is There Balm In Gilead? Avram Grant's appointment as West Ham manager by David Gold and David Sullivan appears a bespoke fit for club and manager, writes Jamie Jackson in the Guardian. The Israeli can silence the two Davids and bring stability to West Ham; whilst the appointment offers Grant the chance he has always craved: to build a successful team over a number of years. If he is to realise that ambition, notes Jackson, he will first have to convince the hard-to-please constituency found among all football fans, a challenge the Israeli coasted through in his previous two appointments in England. By taking Chelsea to within a John Terry penalty miss of claiming the 2008 Champions League, then following this up with the small miracle of leading Portsmouth to this season's FA Cup final while the club imploded around him, Grant shrugged off the arriviste label unfairly stuck on him when succeeding José Mourinho at Stamford Bridge in September 2007. Grant had only got that gig, the prevailing logic went, because he was big friends with Roman Abramovich, Chelsea's billionaire owner, writes Jackson. The English section of Grant's CV now features trips to the FA Cup and Champions League finals, further runners-up spots in the 2008 Carling Cup and 2007-08 Premier League (both with Chelsea), plus evidence of sizeable reserves of tenacity and dignity displayed while steering Portsmouth through their annus horribilis. Gold and Sullivan will have noted how four owners, a transfer embargo, the nine-point penalty for entering administration, subsequent relegation to the Championship and his players' knowledge that most would not be performing at Fratton Park next season did not stop Grant from coming within another missed spot-kick (by Kevin-Prince Boateng) of giving Chelsea a major scare at Wembley in the Cup final. Once the full extent of how he had been misled by the Portsmouth hierarchy became clear Grant's mantra was that he could not care less if there had been £100 or £10m to spend. All that mattered was to be told the budget by his bosses, then know that this sum would not change each time he arrived for training. Grant stated when deliberating over his Portsmouth future that his preference was for long-term residency at a club, so that he could have the opportunity to do what the 55-year-old craves: to build a successful team over a number of years. All of this will be sweet-sounding to Sullivan and Gold, notes Jackson. On taking over West Ham in January they declared that mammoth cuts were required to clear the mess left by the regime of Bjorgolfur Gudmundsson, the Icelandic owner whose gift to the club was a £100m hole in the finances. So, will Grant's appointment have the Boleyn Ground unconditionally swooning? It seems doubtful concludes Jackson. A quick sample of West Ham supporters and neutrals suggests the naysayers feel a younger, more dynamic figure than Grant should be the man to push the club on. Or that the jury remains out regarding the true measure of his managerial smarts, despite his achievements at Portsmouth and Chelsea. What all Hammers enthusiasts are certainly getting, though, is a man who is unfazed by Gold and Sullivan's insistence so far in managing the team from the directors' box, as Gianfranco Zola, Grant's predecessor, endured. Who knows: the man known as "The Magician" in Israel could be the manager to silence the two Davids, while bringing stability and glory to a club whose last taste came 30 years ago, courtesy of Trevor Brooking's header against Arsenal in the 1980 FA Cup final. 46 years ago I shared the ultimate English experience with tens of thousands of new East End companions at Wembley stadium. West Ham United won its first FA Cup Final, 41 years after a 2-0 defeat in its last final against Bolton. That 1923 final inaugurated the national stadium and according to reliable sources was watched by a quarter-of-a-million people, who broke the barriers, crowded across the touchlines and behaved in exemplary order to allow the match to go on. The legend tells that a single officer on his white horse calmly managed the thousands of spectators just like a colonial governor in a tribal assembly in Kenya or Uganda. Only a few supporters from that magical era between two world wars, when no one in Europe expected another one, were left to witness the final vs Preston North End, from the second division. However, there was no difference in 1964, as the majority of the West Ham faithful wore ties on their white shirts, with only Claret and Blue scarves to imply their lengthily association to East London's representative of England's top division. Manager Ron Greenwood was interviewed by the Evening standard prior to the match, and admitted his sole message to the players was "play our beautiful football, and try to win fairly". During the slowly passing minutes before kickoff, all of Wembley's capacity sung 'Abide With Me', and for a moment I thought my heart would miss a beat. The song united the 100,000 fans and created a passing, yet moving moment for a community that has uniqueness and character, in spite of colliding interests by definition of a cup final. Then, our fans stated chanting 'Bubbles', which stands alone in its sweet melancholy, that prepares West Ham's fans not only for victory celebrations but also for the sorrow of loss. The bubbles we're about to blow into the air will eventually fade ad die, just like our dreams. I came to London from Hapoel Jerusalem, and carried the collective spirit of YMCA stadium and Katamon, so the colourful celebration at Wembley was truly exciting. 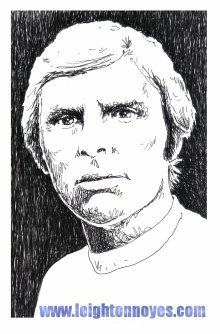 It did not end in tears: in the end of a dramatic game, we won 3-2 by a Ronnie Boyce goal in the dying minutes, so Bobby Moore could step up the lift the cup. So that's how my affair with Moore, who was a month older than me, and sadly passed away 18 years ago due to Cancer, started. I was lucky enough to watch him for 3 straight years, climbing the Wembley staircase to accept three luxurious cups as a captain: the FA Cup in 1964, European Cup Winners cup in 1965 and the World Cup in 1966. Most Englishmen do not believe me. In 1996 I was commentator for Channel One and had a chat with one of the stewards about the game. When I told him about my experience in 1966, he was very doubtful, up until I pulled out my original match ticket, which was in my wallet for 30 years. He apologised and got the ticket as a souvenir. There's no need to mention that every true Eastender considers England's win in the final as one of West Ham's titles, and I advise Avram Grant to remember that well. In the past, I was delighted that two of my favourite Israeli players, Eyal Berkovich and Yossi Benayoun, played for us and thanks to them I had the chance to watch many of West Ham's games live. Grant's appointment however, is an emotional barrier that's hard to stomach. I was very fearful of this move, but somehow realised it's unavoidable, and that his career-characterising meddling hands would eventually penetrate to my God's little acre, the team I loved in good and bad times for years. I told my friend Eliezer Lehana live on his radio show that I feel like an uninvited guest has invaded my living room, and stays there regardless of the owner's feelings. Ze'ev Jabotinsky translated Edgar Allan Poe's immortal piece, "The Raven" with great inspiration to Hebrew. The bird that delivers bad news invades the poet's property, and declines all his protests. Eventually the poet gives up, while the Raven stays. Nice? Address your compliments to Poe and Jabotinsky. I have no choice but to hope that clever Grant will realise that West Ham has a tradition, that prefers beautiful football rather than his cynical style. If he will realize the holiness of the temple he was invited to and doesn't destroy it disgracefully, he might positively surprise us. In terms of spirit, he was successful at Portsmouth, and he is lucky enough to walk into the small shoes left by former manager Gianfranco Zola, a great player, who wasn't as successful as a manager, yet still remains a loved and admired figure by all. When I sat at Wembley in 1964 and the tears in my eyes almost blurred the heart warming sight of West Ham's players running wild in celebration on the pitch, Grant was a young man in Petach Tikva, and his best of days would be a visit to Tel Aviv cinema at Pinsker Street. Now he's at Upton Park, and I will serve the heaviest of punishments, I will have to pray for his success every Saturday. That’s the answer I gave the many people who recently asked me if I will stay a West Ham fan even under Grant. 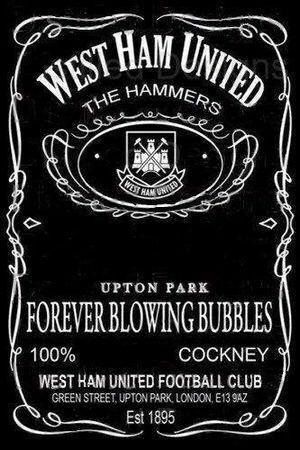 They don't realise that Upton Park is like a home, that I travel to it like a pilgrim at every opportunity. I carry Bobby Moore, Trevor Brooking, Geoff Hurst and Alan Devonshire to the stand with me. I hope that this time, just like in Genesis, Avram will not lay his hand upon the lad, and will fulfil with new openness the dreams of the many West Ham fans of brilliant attacking football, alongside sportsmanship, and will preserve the festiveness of the Upton Park experience. The Bible rhetorical question of which the Edgar Alan Poe draws on is "Is there NO Balm in Gilead?" and there was, so this posed the deeper question why is there so much sadness. I guess for us It would be "Is there no talent at West Ham" and there is, so why did we nearly go down.